We are so excited to present to you our next meet-up-Photography 101 taking place April 27 from 12-2PM at Earl’s Kitchen & Bar at Mall of Millenia! Come learn the basics of Photography and Photo editing. Jump start your own creative photography projects, whether it’s for a brand or personal project. Join our panel of photography experts! Get hands-on experience with creating blog-worthy, high-quality photography. Each photographer will be raffling a complimentary session at the end of our meet-up. 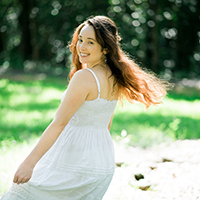 Kelly Lamano is a published writer and photographer born and raised in Central Florida. She works for a digital publishing company by day, assisting publishers around the world in email marketing and subscription services. By night, Kelly’s the content creator of Twentysomething Vision, an optimistic lifestyle blog, and the photographer behind the lens of Sunshine Photography. Kelly fell in love taking close-up photos of birds, flowers, and other nature, which led her to explore journalistic photography in college. With a focus on helping business owners and individuals shine, she loves capturing timeless moments for people to look back on. I’m a content creator who loves photos, videos & epic adventures! Always a very curious person and with a strong passion for exploration, I began my creative journey focused on documenting my solo travels, vlogging my experiences and taking my own selfies. It was an amazing, challenging and rewarding experience, that took me from 0 – 100 real quick and eventually gave me the opportunity of developing collaborations with other creatives, exploring portrait photography as well as producing mini video stories. Currently based in Orlando, I love partnering with amazing people and helping bring their creative visions to life! I’m Winny Rivas, I have been a photographer for the past 8 years I enjoy designing visual stories with photos. I specialize in editorial and headshot photography and love to share my expertise with others. For the past 5 years I have been teaching photography and hosting photos meetups in the Orlando area. Thank-you to Earl’s Kitchen & Bar for hosting us! Thank-you to Magnolia Salon & Spa for this collaboration as well as Gelato and the The Wine Barn who will be joining us that evening. Magnolia’s Salon & Spa is a full service salon and spa in Winter Park, FL. Their stylists, beauty experts and hairdressers committed to customer service! Their extremely educated team of professionals goals is to exceed your highest expectations. Magnolia’s services and staff are always growing and evolving to better serve your needs. Always staying on top of the trend, higher education and customer service is our promise! 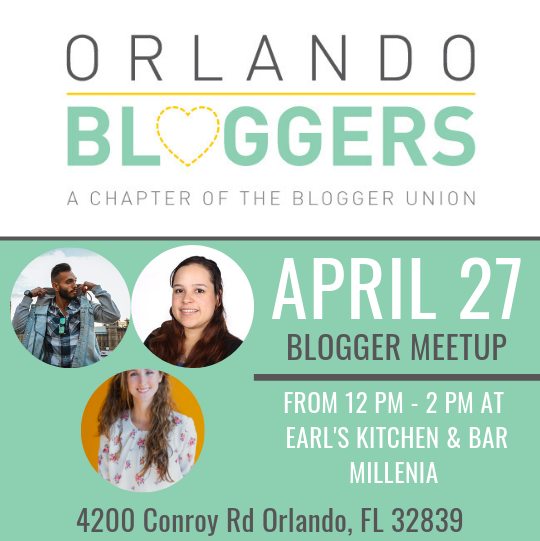 Join The Orlando Bloggers Facebook Group! Add this badge to your site & support Orlando Bloggers! Jazmin Rojas has been in the travel industry since 2006. Her love for writing and sharing her travel knowledge took her to start her own blog in 2015 especially after becoming a single mom to find a community of single mom bloggers. 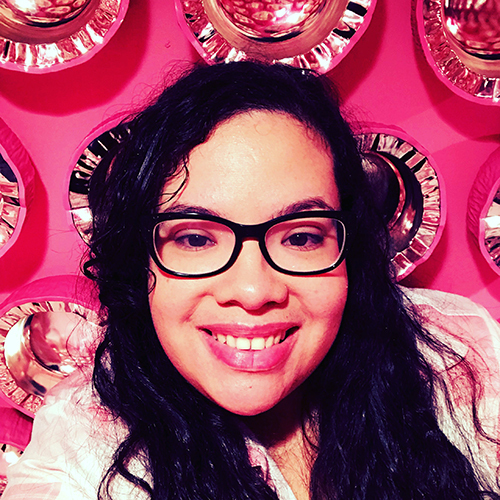 Jazmin's Voyage is where she shares her travel voyage, her voyage of being a single mom to her toddler son Samuel, #TheAdventureswithSammy, and voyage of a Dominican-American woman in her early 30s living in Central Florida. Yentl Lega is a holistic dietitian & blogger promoting beauty from the inside out starting with your best feature - your heart ❤️ YOUnfolded is a platform for women to learn how to unfold their inner BEAUTY through nurturing their Body, Exploration of their surroundings, Adornment through their unique style, Unity with uplifting relationships, Talent, and their mind & soul (You). Yentl is also a proud dog mom and sometimes features her furbabies along with pet health topics.